It’s the week of hearts. It’s no secret that we aren’t big Valentines Day people. 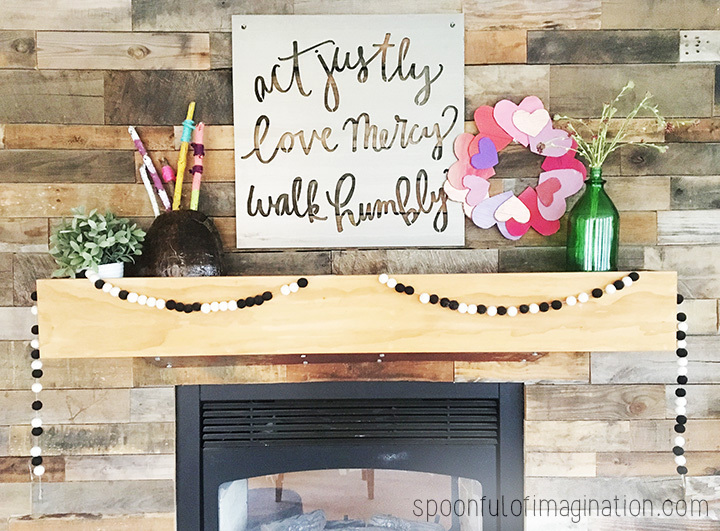 I believe so much more in sharing that you love all year long in simple, kind, thoughtful ways. 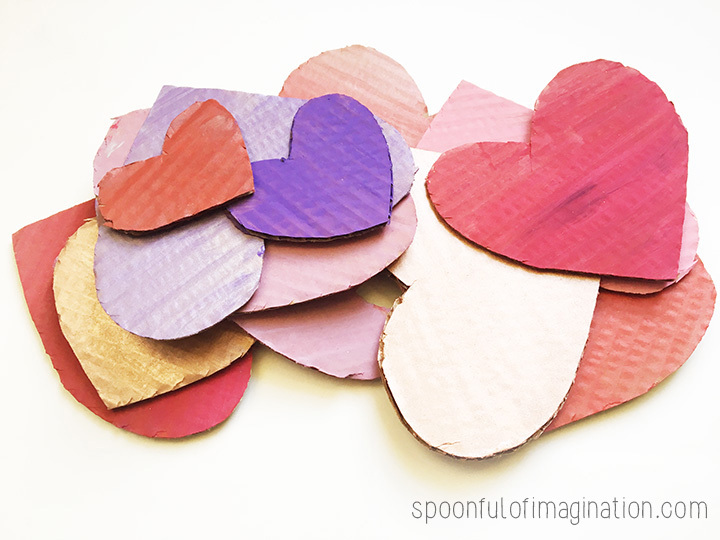 BUT, I do love a good heart craft, and with kids it is hard to completely ignore the holiday. 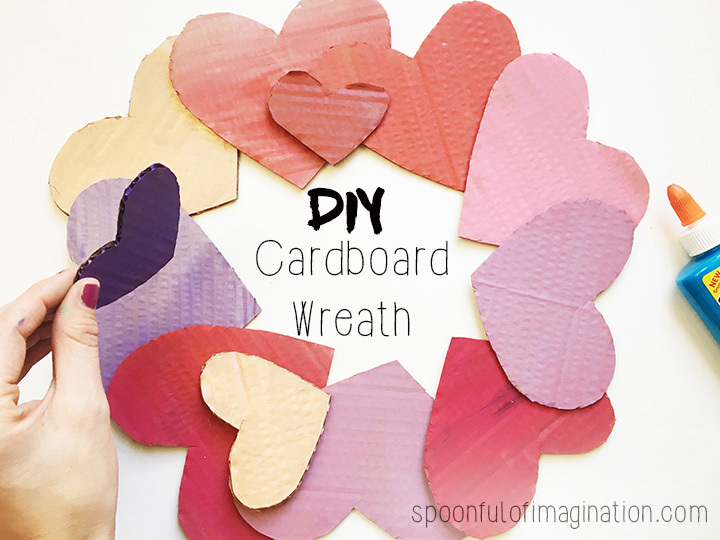 You too can make a fun cardboard wreath to use as decor or stay tuned to the bottom of this post to see how it could be a fun, class, collaborative project. 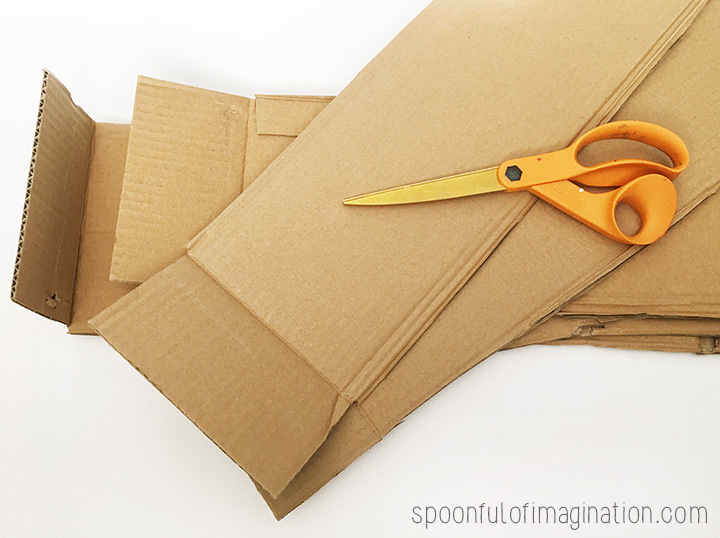 I started with a bunch of cardboard boxes. 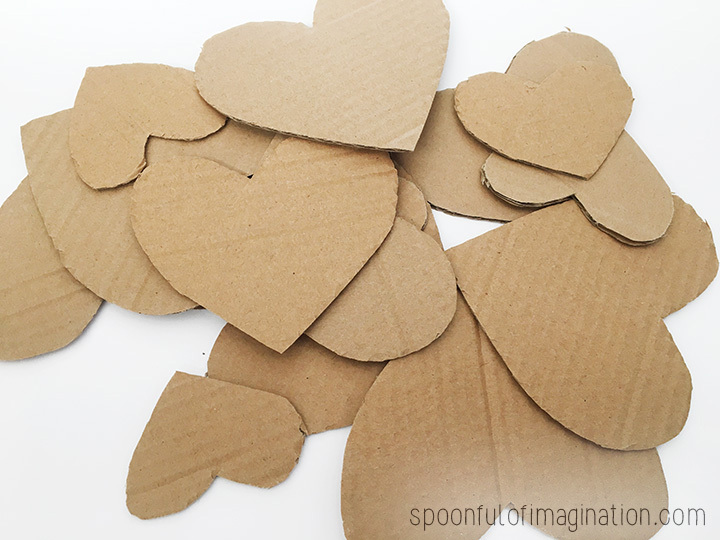 I cut off the box flaps and use those pieces to then cut into heart shapes. I tried to keep two sizes. One slightly larger than the other, but I didn’t not trace the heart to make them all exactly the same. I just eyeballed it to keep it close. Next, I painted the hearts. I picked colors that went with the Valentine’s theme. 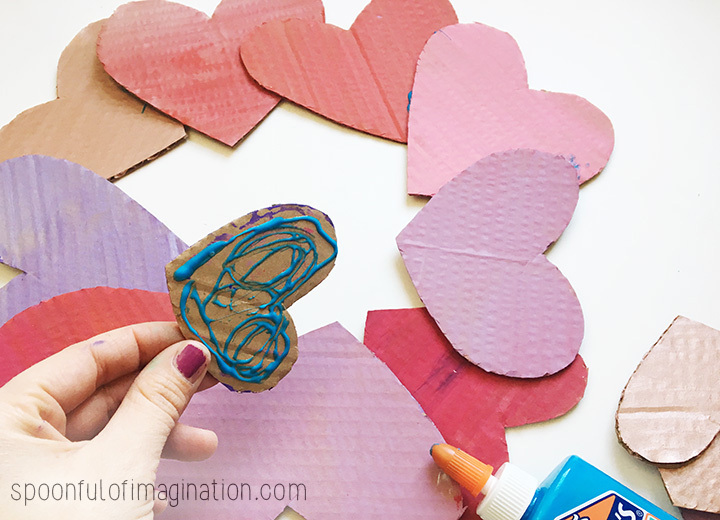 You could tweak this step to personalize these hearts and their colors to being pinks for a baby shower or maybe blues & pinks for a gender reveal party! 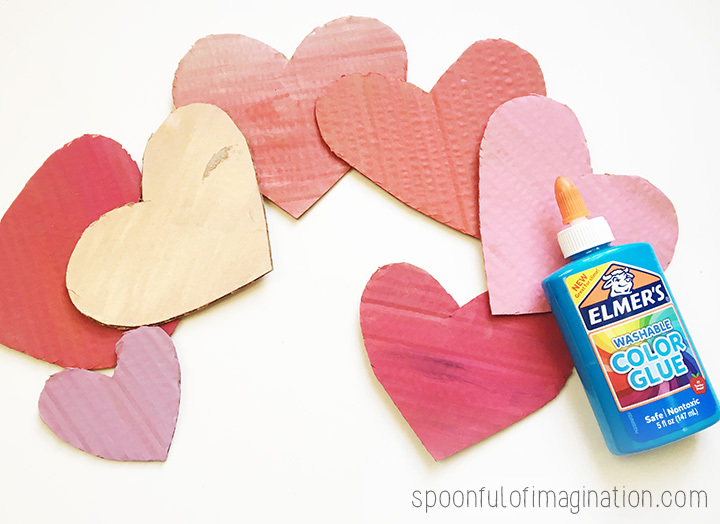 After I painted my hearts and they were completely dry, I used Elmers glue to attach them to one another. I used blue Elmers Glue, only because it was the first glue I found. Any school glue or hot glue would work! I played around with laying the hearts in a circle, overlapping one another. I tried to split the pinks and reds from being right next to each other. I then added a little glue to the back of the hearts for where they would overlap another heart and press it into place for a few seconds. You can probably tell by the pictures I created a base with the bigger hearts and then the smaller ones on top. It helps create a thicker, 3d shape and gives it some depth. It was so quick! It gives my house a little Valentine’s pop without spending money on decorations. After I made my wreath, I thought this could be such a fun quick class party craft. Have every child color, paint their own heart. Maybe they just do solid colors and then add their name in a sharpie? Or maybe they write a way they can show love to their classmates? Or maybe they write something they love about their teacher? 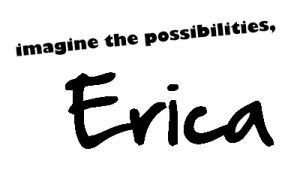 There’s so many ways you could take this project. It could then be displayed on the classes door or in the room for the rest of the month. We all need reminders to love one another well, right!? Have fun! If you do this project, I’d love to see it! 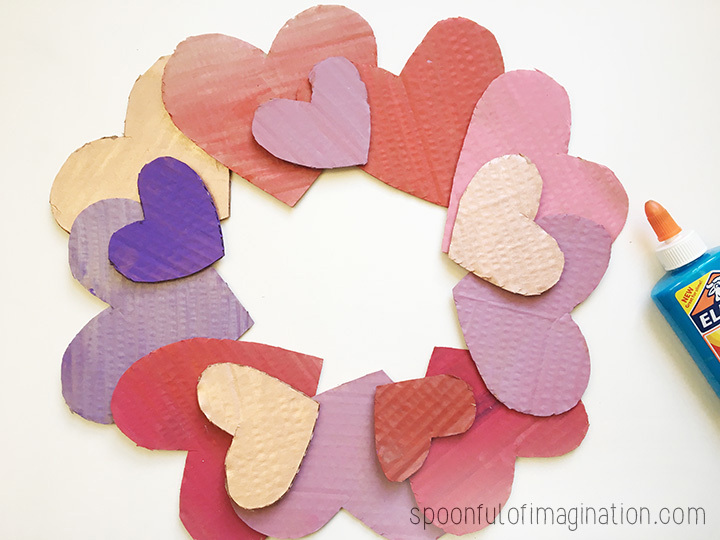 Share with #spoonfulofimagination on social media so we can cheer one another along in our crafty journeys!